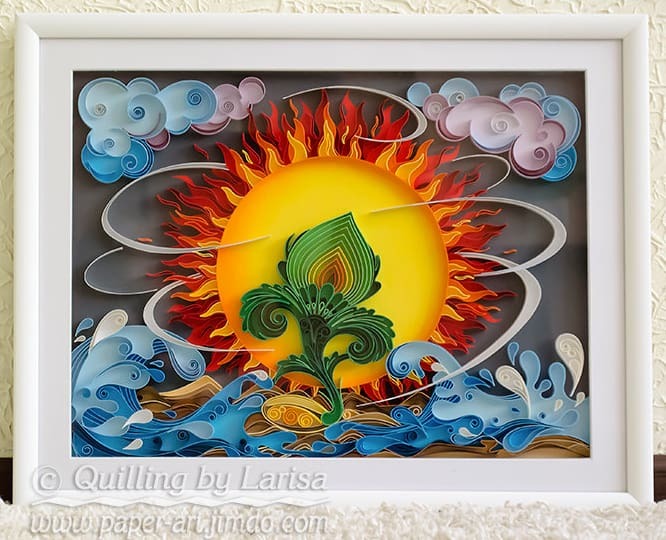 If you’ve never heard of the art of quilling or seen the beautiful results of an intricate quilling project, then prepare to have your eyes opened to one of the most beautiful forms of paper art (and possibly art in general) we’ve ever seen! 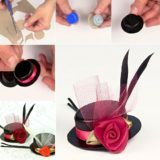 Quilling is the art of rolling strips of paper tightly and then pinching them into different shapes or letting them uncoil to certain degrees in order to create an image or structure. 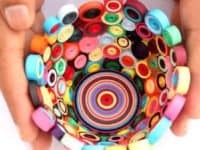 You can find a great outline of how to make some simple beginner quilling shapes on Honey’s Quilling! 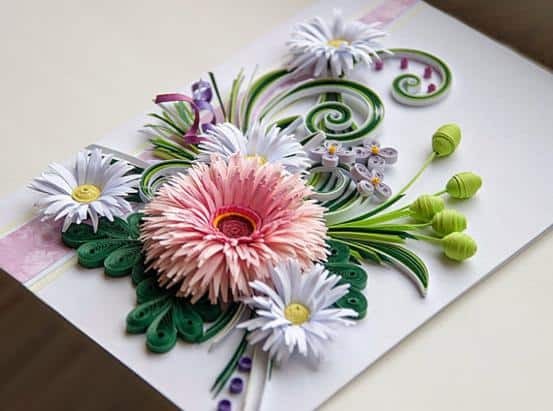 Once you’ve got an idea of how quilling is done, check out these amazingly intricate and absolutely stunning quilling designs that will inspire you to practice and try new patterns. 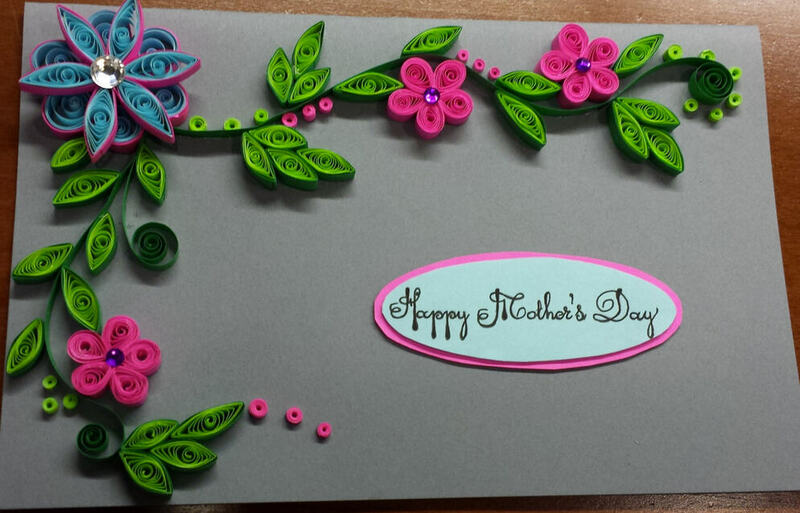 Imagine how surprised and overjoyed your mom will be when she opens her envelope from you on Mother’s Day not just to find a lovingly handmade card, but one that you’ve carefully quilled into a gorgeous set of swirling blooms! 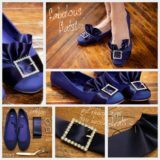 Check it out in more detail on Satya Sree Creations. As you probably know from the invitations you’ve received yourself, many people keep their wedding invitations from family and friends as keepsakes. It’s certainly worth it, then, to create something absolutely beautiful so they really get something worth keeping! 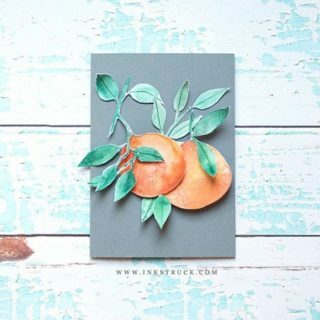 See how this one was made on All Things Paper. 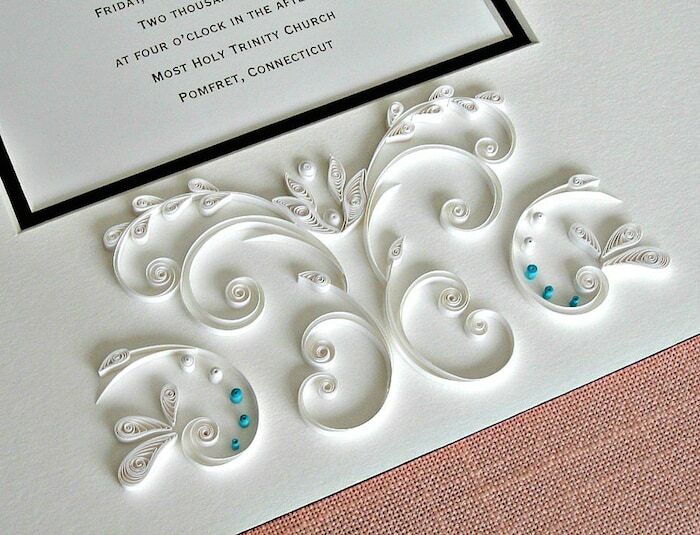 Quilling is useful for more than just flat surface art like cards! 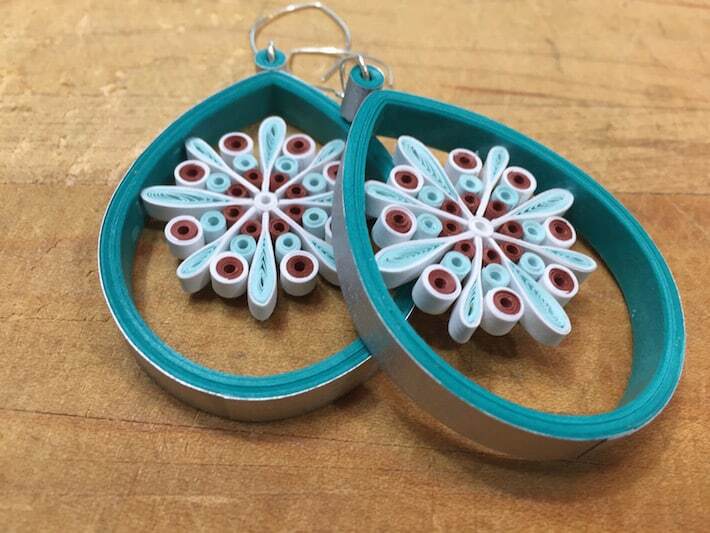 You can even create wearable quilling projects with more than one layer, like this adorable owl pendant by Honey’s Quilling. 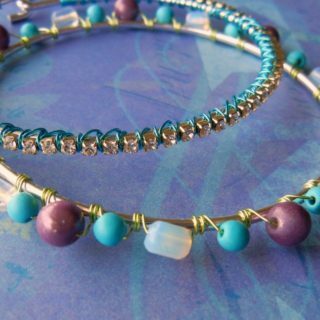 Create the base body from a very tightly wound coil and add details in the form of other quilled shapes on top. In case layered quilling isn’t quite daring enough for you and you’d like even more of a challenge, check out this little quilled television set! 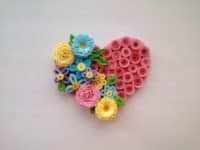 3D quilling is a unique way to create something special for a friend or family member, or even just to give yourself a little decorative trinket for your desk or sidetable. Check these little fishies out on Little Circles. 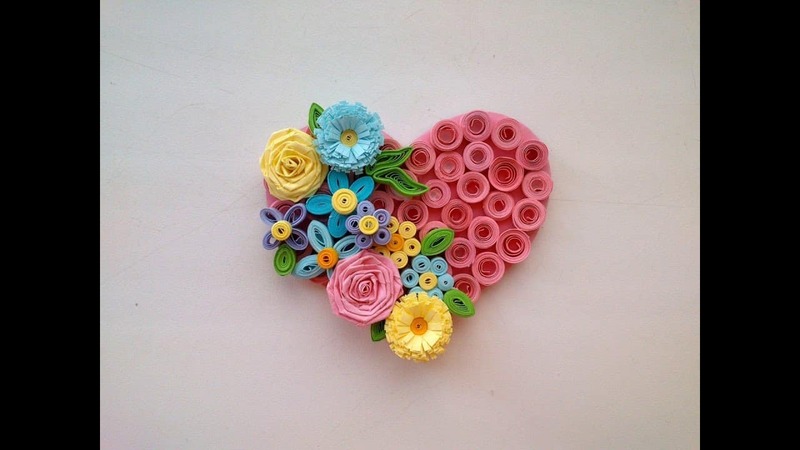 Are you so in love with the art of quilling that you’d like to make it more of a statement piece in your decor scheme, rather than just a pretty little detail? Then perhaps this gorgeous swirling wall art by Anamalily is more along the lines of what you’re looking for! 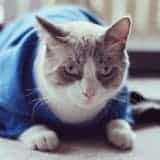 Talk about a conversation starter when guests walk into your home for the first time. Perhaps you’ve got an image in your mind that you’d love to make a reality, but painting and drawing just aren’t your biggest strengths? 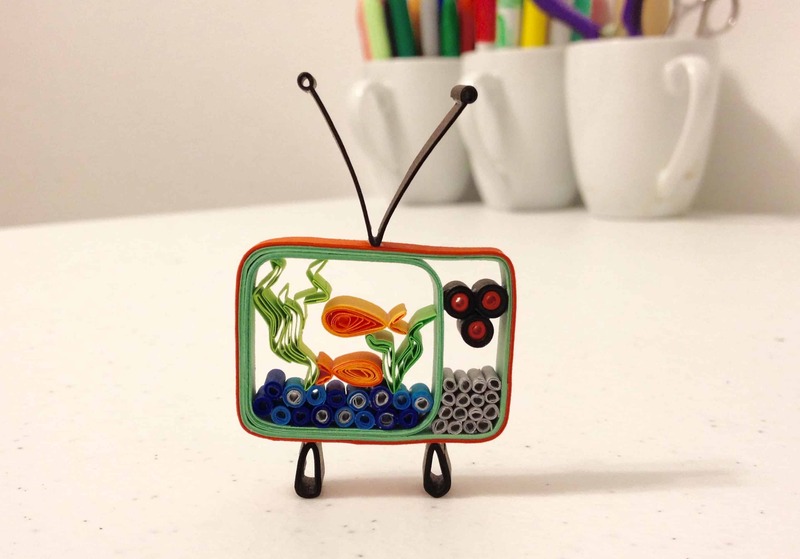 Try making that picture come to life by quilling instead! 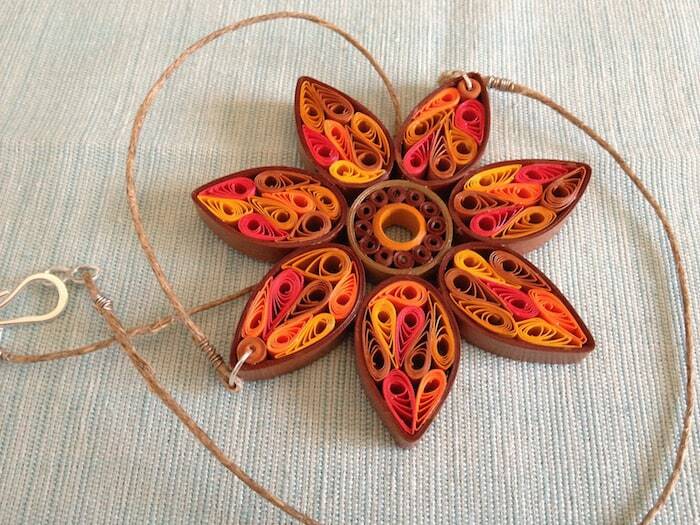 Don’t be afraid of experimenting with different shapes, angles, and colours, just like Quilling by Larisa did here. 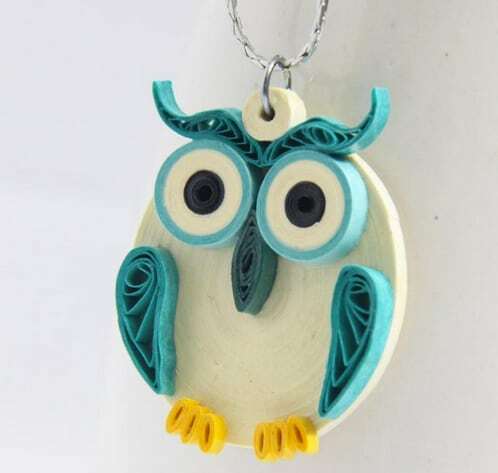 Did you love the idea of making a necklace pendant from quilled paper but the owl, no matter how cute, wasn’t really your style? Perhaps this little flower with intricate spiralled detail in the petals is more along the lines of what you were hoping for. 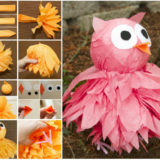 Although it’s not layered like the owl it’s still quite a challenging pattern, but we believe in you! 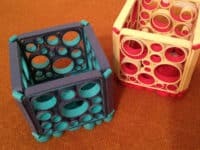 Check it out in more detail on Little Circles. 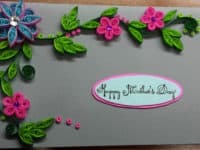 Did you love the floral Mother’s Day card design so much that you’re just about ready to give every person you love a quilled card for every special occasion? 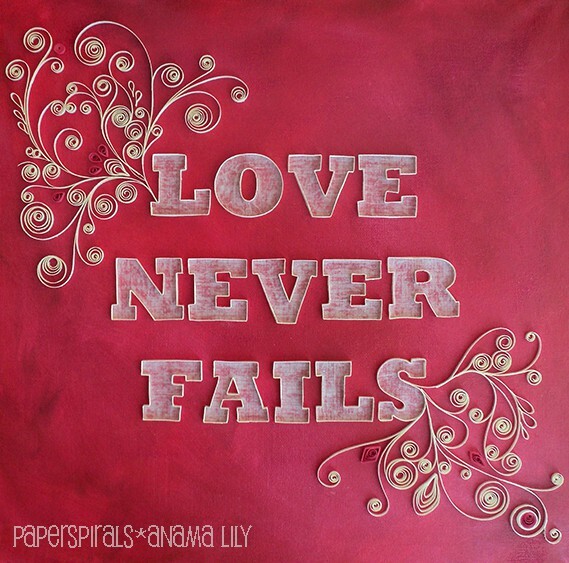 Then Creative Paper has you covered when it comes to cute ideas for Valentine’s Day! The colourful flowers will brighten up their February day. 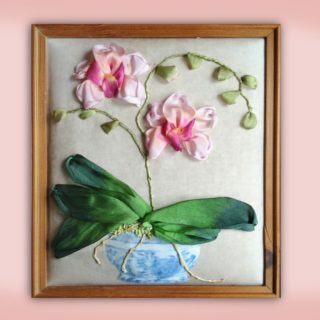 Do you like the design above but you’d like a floral look that’s a little more realistic? 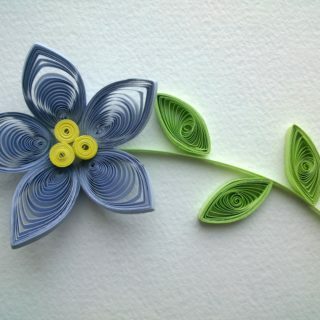 These quilled paper flowers by Life Chilli are breathtakingly pretty and genuinely look like the real thing! 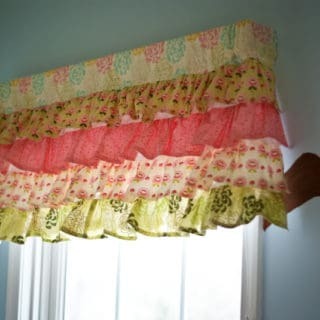 Super thing, carefully layered strips curving out from the centre are the key here and we can’t get enough. Of course, putting a live flame inside a holder made of paper can be risky, so consider battery powered tealights rather than the real thing. 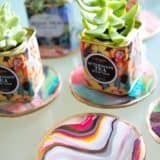 When it comes to style, however, these 3D quilled circular structures are ultra modern and eye catching, and a great way to add a pop of colour to your room. We adore these dual tone combinations from Little Circles! 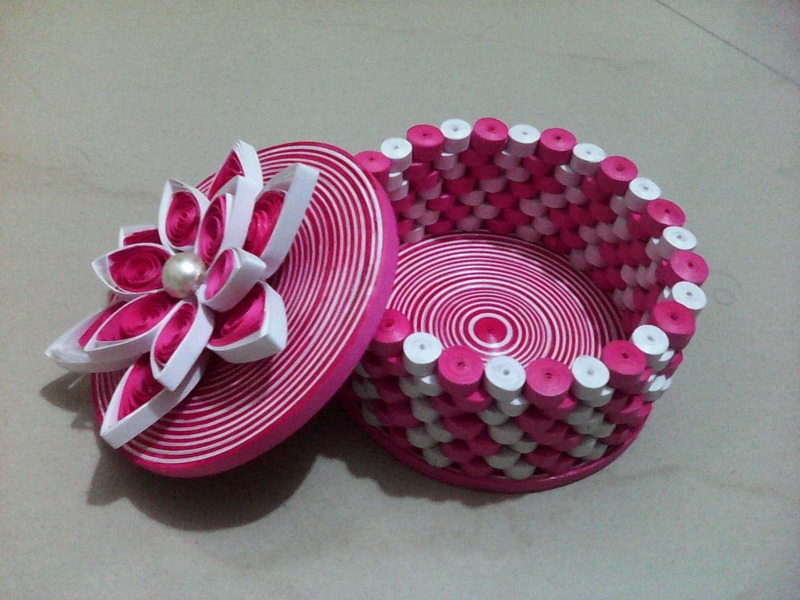 Have you been practicing your 3D quilling skills fervently and now you’re ready to create even more intricate designs than before? 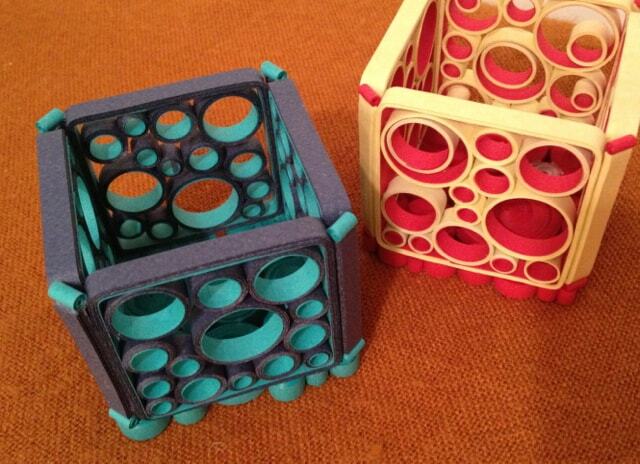 Upgrade from decorative trinkets to actual boxes, just like this one by Quilling Paper Designs! 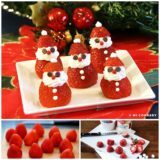 This would make the perfect gift box, keepsake box, or candy box for when visitors come over. 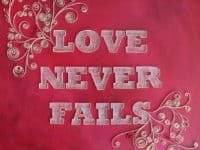 Maybe you love the idea above, but you don’t need a keepsake or gift box? Try making this adorable rainbow vase instead! 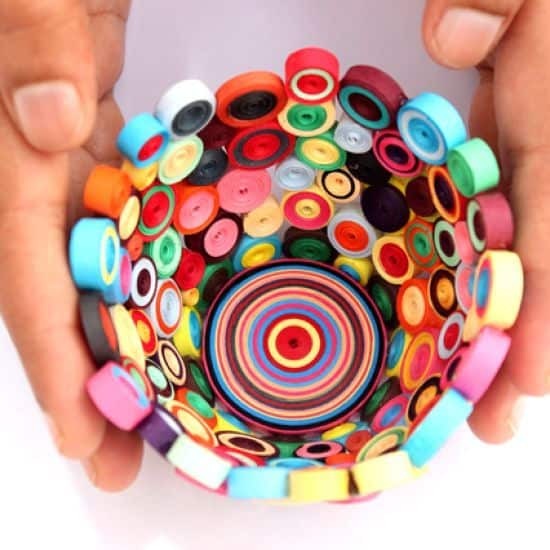 Follow iCreative Ideas‘s lead and practice quilling with multiple colours in one, creating an awesomely multicoloured effect that’ll catch anyone’s eye. 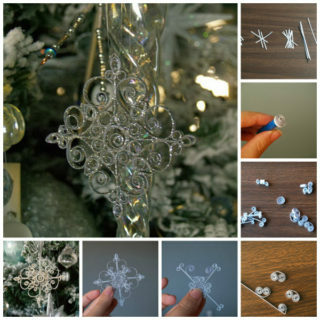 As with just about any type of art or craft, quilling is a great opportunity to get a little bit DIY with your Christmas gifts and decor. Think of how gorgeous the swirling details of this quilled snowflake ornament design by Craftsy will look hanging from your Christmas tree or in your window! 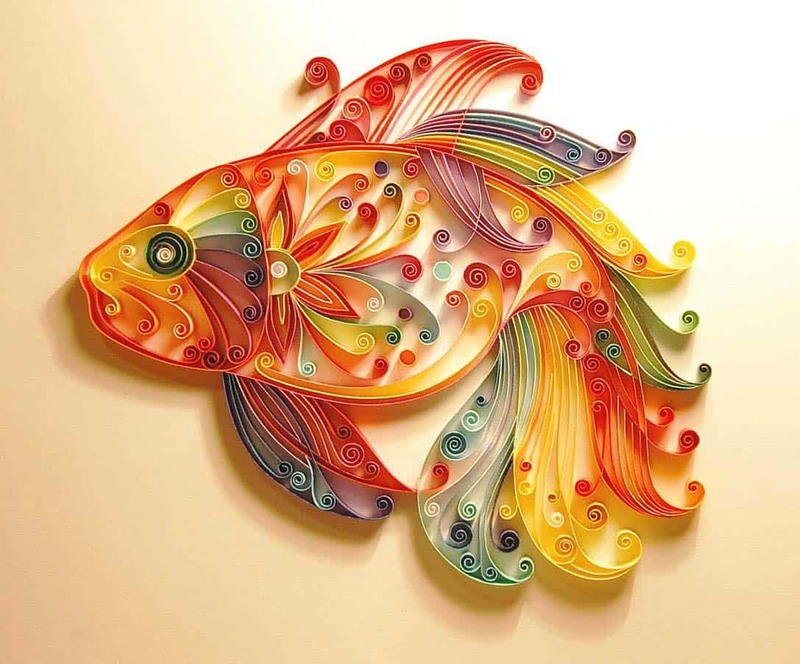 It’s hard to choose, but this gorgeously swirling rainbow fish design might be our favourite thing on this whole list! 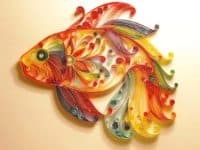 You can customize your own version as you please, changing the colours and the angles of the fins, but practicing the way the strips in the tail overlap and intersect will help you elevate your quilling skills. 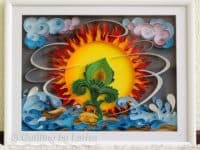 Check the whole piece out in more detail on Quilling Ideas. 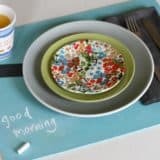 Are you awestruck by some of these stunning quilled designs, but you’ve really been hoping for a simple idea that you can learn with, or perhaps something that you can help your kids make? 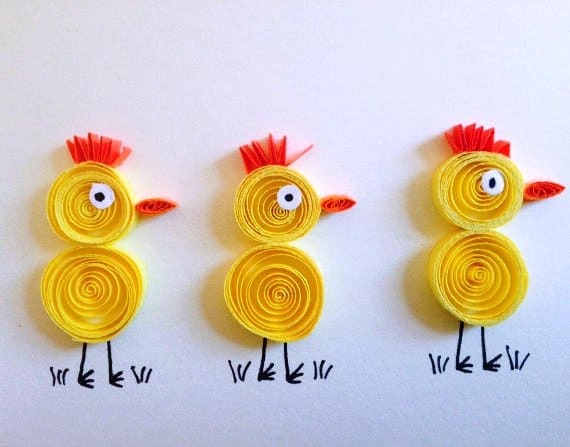 Then these adorable little spiralled chicks are the perfect idea for you. 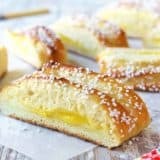 We have Easy Arts and Crafts ideas to thank for this one!